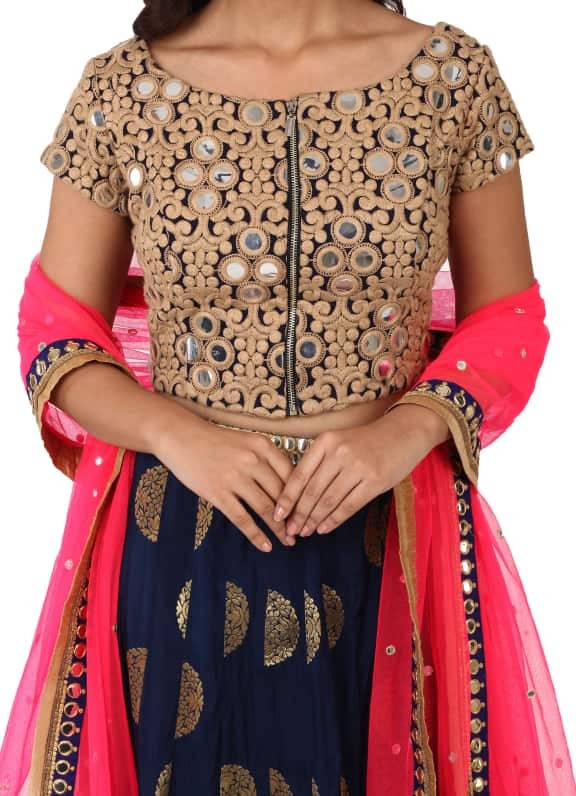 This lehenga set comes with a blue brocade skirt with gold motifs and is paired with a matching blouse with beige thread embroidery and mirror work. 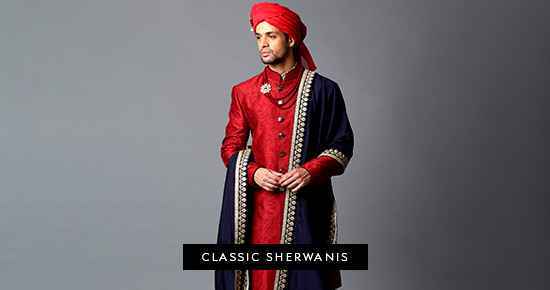 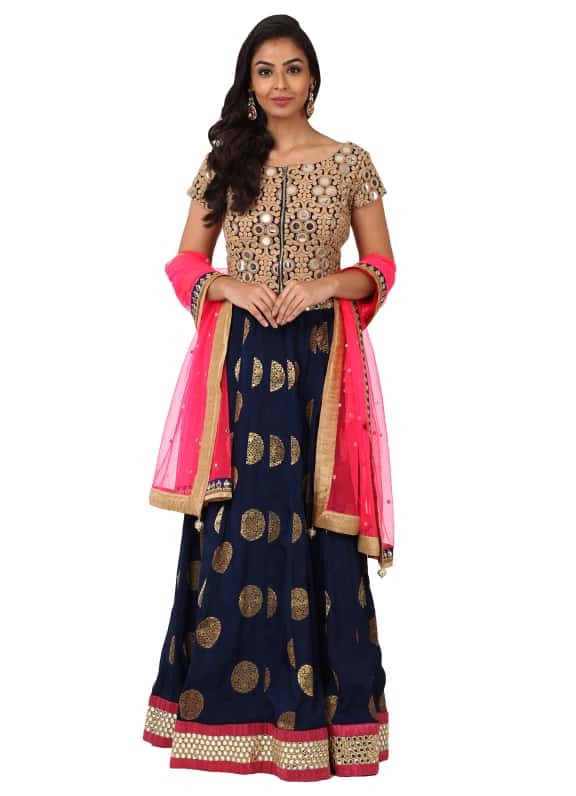 It is paired with a contrasting neon pink dupatta. 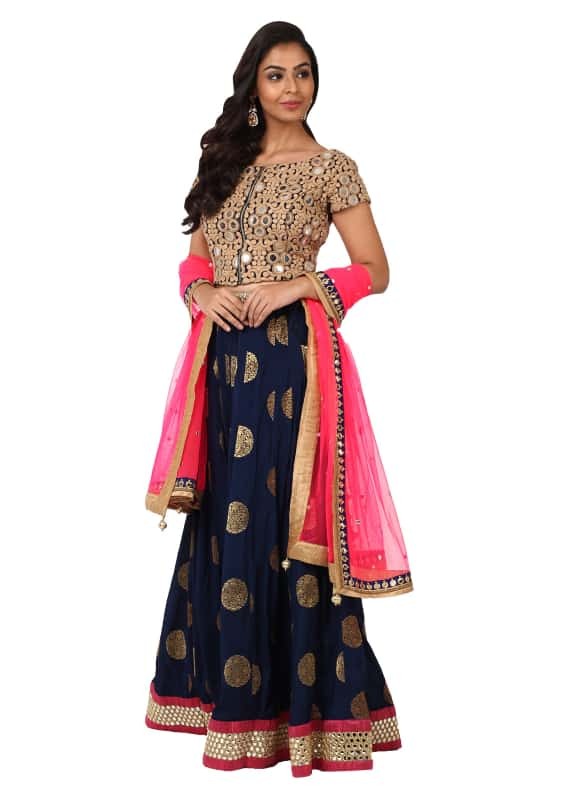 Wear this stunning navy and fuchsia contrast lehenga for your sangeet and style it with a pair of Maithilli Kabre earrings.